LED Tube Lighting Pty. Ltd. - Brisbane Manufacturer of High Quality Commercial LED Lighting. We manufacture the widest variety of LED tubes in Australia. Whether your luminaires have electronic or magnetic ballasts, T5 or T8 we can supply an LED tube that will fit your existing luminaire. We can also supply specialist LED light battens into which any LED tubes can be fitted. We manufacture energy efficient high lumen LED tubes, dimmable LED tubes, motion sensor LED tubes,and emergency LED tubes. We also manufacture LED refrigeration tubes including water resistant IP65 refrigeration tubes. Our LED battens, integrated LED luminaires and LED panel lights provide a complete alternative to inefficient fluorescent lighting. We also specialize in high watt commercial lighting. Our stylish high bay LED tubes can produce more than 22,500lm providing a cost effective designer alternative to unattractive high bay can lighting. Our high watt light bulbs produce over 10,000lm. They have a long life span, produce very little heat and are an easy replacement for metal halide and halogen bulbs in high bay, street lighting and other applications. We produce a range of super high quality flood lights with Philips, Samsung and Cree LED modules and a Mean Well driver. Our flood lights have customizable beam angles are available in up to 1000w and are designed to work in the most demanding conditions. Our LED lighting improves lighting quality, virtually eliminates maintenance and reduces electricity usage by more than half. Our LED products provide an affordable retrofit or new fit out solution for businesses looking for more attractive and efficient lighting. We aim to provide businesses with a) the latest in LED technology and b) clear information on LED lighting options, to make the change to LED lighting easy. Please feel free to email or call us and one of our technicians will be glad to answer any query. If you would like to learn more about LED technology, click on our FAQs or read more. Our commercial LED lighting products are low watt and high power factor making them both economical to run and environmentally friendly. For a full description of our products includig prices and spec sheets please click on "Products" below. Replace fluorescent tubes with LED tubes. Replace high watt halogen or metal halide bulbs with high watt LED bulbs. Replace high watt flood lights and high bay lights with LED flood lights and LED high bay. LED lighting of the same or greater brightness, consumes less than fifty percent of the power. The electricity savings begin to accrue immediately, and because we keep our margins low and provide bulk discounts, the total cost of purchase and replacement can be recovered from electricity savings in their first year of use . If you would like more details in respect of how savings are calculated please read more. LED Tube Lighting Pty. Ltd. is registered as a Responsible Supplier on the Australian National Register of Equipment Suppliers and our tubes are Registered Equipment. Our Supplier number is E2183. We obtain all of the lab testing and certification required to show that our products comply with Australian Standards and satisfy the necessary regulations under Australian law. Don't risk buying a tube that is unsafe and fails to meet Australian standards. All of our tubes are independently tested and certified. Our SAA certificate number for our most popular models is SAA140997 and our Certificate of Suitability can be seen by clicking here or on SAA symbol to the right. Safety is our paramount concern. 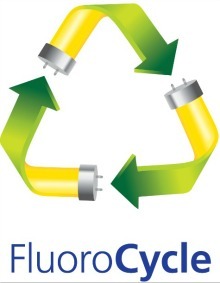 Tired of replacing fluorescent tubes? An LED tube used 24 hours a day, 365 days a year can last 5.7 years without the dimming or flickering associated with fluorescent tubes. That's a long time between replacements! Want to know what our LED tubes can save you... in your exact circumstances? Just fill in the details and click on "Show costs and savings". It takes a little while to calculate so please be patient.